Blindfold drives are a staple of mentalism, but how often can you season it up with a piping hot corporate embarrassment currently affecting millions of drivers? CRYSTAL LAKE, Ill. (Wireless Flash – FlashNews) – One daredevil magician may single-handedly be able to clear Toyota’s name. On April 10, mentalist Nino Cruz will try to drive a 2010 Toyota Scion through the streets of Crystal Lake, Illinois, blindfolded. The stunt will benefit the Raue Center For The Arts – and perhaps the suffering Toyota company, too. Posted by Editor on Wednesday, March 31st, 2010 at 2:11 pm. I see he's successfully driven a Jeep blindfolded before…now a TOYOTA?! Talk about bringing it to the next level!! Lol. WTF! No Commercial Yet? 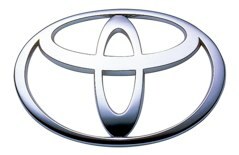 Is Toyota Stupid?